The biggest fall in global dairy prices since March last year has raised questions about whether Fonterra's forecast milk price for farmers this year of $7 per kilogram of milk solids can be achieved. Economists were surprised by the magnitude of the fall at the GlobalDairyTrade auction and were on Wednesday scrutinising their own forecasts for the milk price this season. Westpac senior economist Anne Boniface said the 5% overall drop effectively took global dairy prices "to the lower bounds of where we were expecting to see prices trade over the season". She believed (and this was a view other economists shared) that increased nervousness about the impact of trade wars on global growth prospects may have played a role. "As last night’s auction shows, the biggest threat for New Zealand is that we get caught in the downdraft of a slowdown in global trade which puts downward pressure on commodity prices across the board. It’s certainly this fear that has been weighing on financial markets," she said. "...What is clear however, is that last night’s auction result puts Fonterra’s $7 milk price forecast under pressure." BNZ senior economist Doug Steel had similar views. "There is now significant downside risk to Fonterra’s $7 forecast for the 2018/19 season," he said. "Our own $6.60 view was based on a drift lower in international product prices over coming months. It has happened all in one go. "So we stay at $6.60 for now, but note the balance of risks around our view have suddenly become a touch slanted to the downside having been tilted to the upside over recent months." Westpac's currently forecasting just $6.40 as a milk price for this season and Boniface said the latest drop in global prices "suggests downside risk" to that forecast. "Dairy prices can be volatile in fortnightly auctions. So we’re inclined to treat last night’s dairy price outturn with a degree of caution. "However, we have been warning of the prospect of weaker dairy prices on the back of slowing growth in China for some time. "That’s been the key reason our own milk price forecast of $6.40 has been sitting below Fonterra’s $7 estimate for the 2018/19 season. While we acknowledge there was little direct evidence of this in last night’s auction (with no sign of reduced activity from Chinese buyers) we retain our view that commodity prices across the board are likely to come under pressure as the Chinese economy slows." Boniface noted that "Importantly", the global price falls are coming at a time when volumes traded on the GDT auction are starting to lift. "There was a 20% lift in the volume of [Whole Milk Powder] WMP sold in last night’s auction compared to the previous event and a 30% lift in SMP sold. This is broadly in line with the usual season pattern, which sees the volume of product sold peak around September/October. At high volumes, auction results have a large impact on the final milk price paid to farmers. That said, the proportion of product sold on the GDT platform has been drifting lower over the last year or so. There was 9% less WMP sold in last night’s auction relative to a year earlier." Boniface thought it surprising there had been no reaction to the dairy price fall in the currency markets. "The NZ dollar actually rose a little overnight. If we were to see further falls in dairy prices we would expect currency markets to sit up and take notice." ASB senior rural economist Nathan Penny said ASB's sticking with its forecast for the milk price this season of $6.50. "Indeed, despite the auction price fall overnight, the ‘spot milk price’ remains around $7.00/kg. However, we maintain a close watching brief on US-China trade developments and the potential for fallout in dairy markets," he said. "Dairy markets are nervous. And last night’s fall in dairy auction prices reflected this nervousness." Penny note that US-China trade tensions were now "spilling over to actual tariff increases". "For example, Chinese tariff increases on US exports, scheduled for 7 July, include dairy and other agricultural products. Ironically, NZ stands to benefit from increased Chinese tariffs on US dairy products. These tariffs will make NZ dairy products cheap relative to US equivalents. In turn, Chinese are likely to increase their demand for NZ dairy products , boosting NZ dairy prices. "For now though, dairy buyers are more nervous about the fallout from the increasing trade tensions and the potential impact this could have on dairy demand. Already, currencies for key dairy buyers have fallen, with the Chinese yuan down around 3% since the last auction. Meanwhile, Chinese stockmarkets have also taken a hit with the Shanghai Composite Index down nearly 10% over the same period. "It’s not all one-way traffic though. The NZD/USD has also fallen around 3% over the past fortnight. Moreover, the ‘spot milk price’ (using last night’s result and the spot NZD/USD) is still sitting at a healthy $7.00/kg. 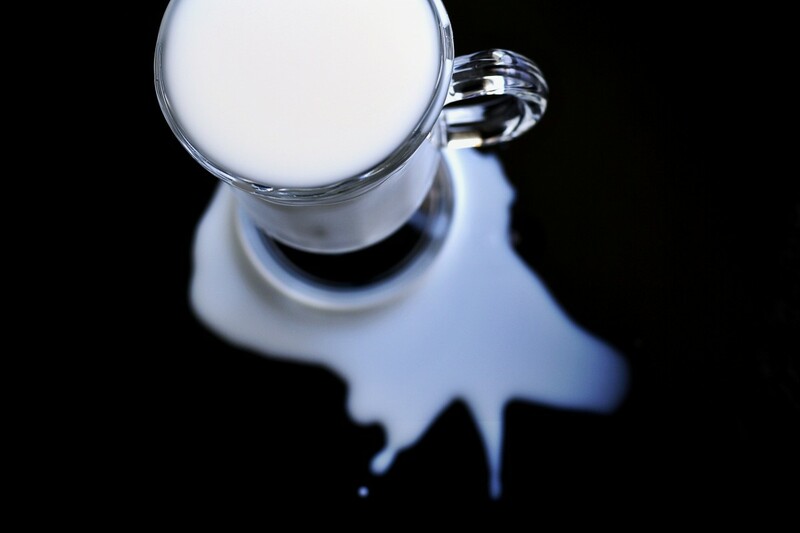 "Nonetheless, the risk is that trade tensions increasingly weigh on global growth and significantly dampen global demand for dairy products. In this scenario, the milk price outlook will change. For now, though, watch this space!" I hope it keeps dropping until they decide irrigating the Mackenzie is no longer a goer. Fonterra has over 10K shareholders, and each may hold positions in commonly traded and available financial products which increase price certainty. NZX has had such products for the best part of a decade and the extent to which individual Fonterra shareholders participate in these offerings is not likely to be known to economists. Publicly available data is available (e.g. Dairy Futures) but given that the economists are Bank-oriented, the missing link becomes 'which of Our Dairy Debtors is represented here?'. 'We are worried about the effect, on our own bank's farmer debtors, of a declining trend in commodity prices, but we don't know to what extent either Fonterra or the farmers involved have mitigated this risk'. ... now ... remind me , where and when have we heard that refrain ?